Melbourne’s third airport will be the hot topic at the first Casey Cardinia Business Breakfast for 2019. Guests will hear about the importance and viability of Melbourne’s third airport for businesses in the South East from Brian Haratsis – who played a key role in the project’s advocacy. He is the founder and Chairman of MacroPlan and is considered Australia’s leading PropTech specialist with a particular focus on private sector property involvement, understanding communities, tourism and social trends. Brian has over 25 years’ experience as an economist, futurist, and strategic planner. 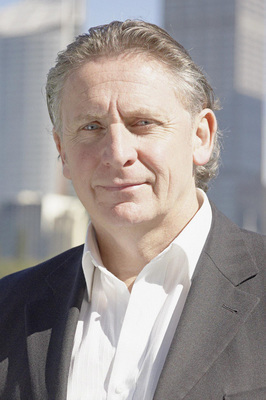 Brian has been the key analyst in major developments and projects, including Australia’s tallest residential building (99 storeys), Eureka Towers ($700m); the Royal Automobile Club of Victoria (‘club of the future’) in Melbourne ($160m); the QV building ($700m), Australia’s first and largest mixed use development; Australia’s first new generation ‘main street’ in Brighton Butler, Perth; and Australia’s first fully integrated greenfields transit-orientated development at Varsity Lakes in South East Queensland. He also works on major health, freight and logistics and resource-related projects on a national basis. His work in the North West of Australia has focused on advising major resource companies and government authorities on the ‘future plan’ for the north from a community, employment and regulatory perspective. His release of the Australia 2050 Project – A Big Australia? is providing a platform to open discussion and understand the future drivers of Australia ranging from globalisation, health and ageing, freight and logistics to the future role and impacts of the resource industry.